Our culture strives to balance the pursuit of meaningful architecture with studio outreach as volunteers and community builders. 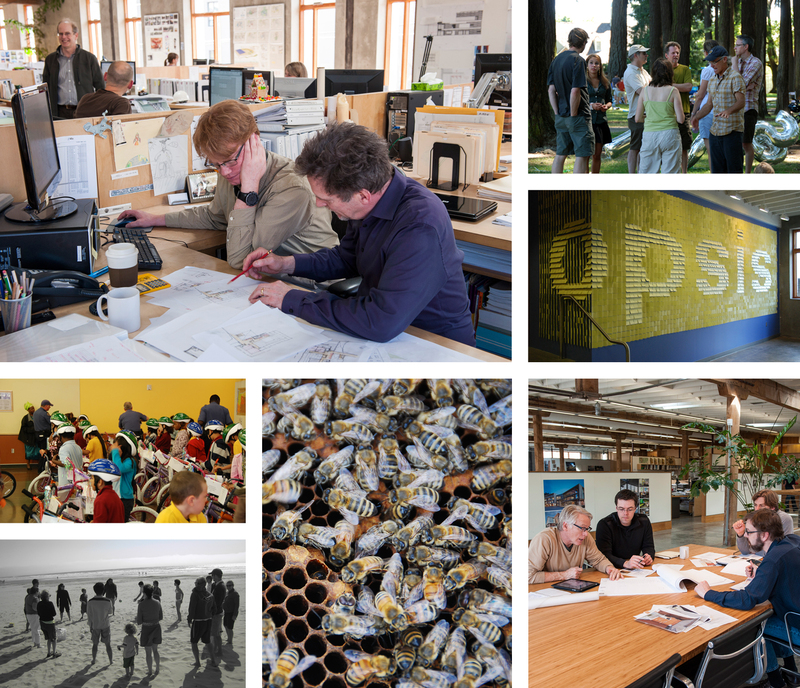 Our open studio without walls integrates partners, interns and architects into a cohesive design group. As a studio we grow and learn from each other through project critique sessions, firm-wide meetings, continuing education sessions, webinars, lunch presentations, and conferences. We reach out to the greater community through volunteer design support of not-for-profit organizations, schools and cultural institutions. Our 920 Gallery provides free exhibition space for local artists and community events. We have found Opsis shares a common philosophy with us about the role that arts, culture and education play in the life of a city and the contribution we collectively make to the built environment and the local economy.